Do you want to sell your products under your own brand name and distinguish yourself from the competition? It is possible with private labelling: your own brand provided by ProMax. We can take care of all the work for you, so you can increase your margins and save time and money by outsourcing production, labelling and design! Create your own battery brand !! A professional OEM supplier of primary dry-cell batteries, our company satisfies the many needs of the market with one of the broadest lines of battery products in the industry. 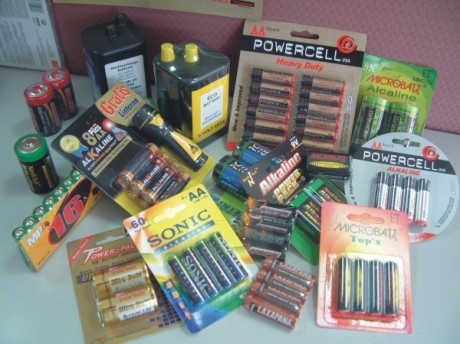 We can produce for you with nice quality batteries and more beautiful packaging: battery jacket (Metallic/Aluminum/Foil or Pvc-Jacket), Blister Card, Value Pack, Inner Box or Master Carton. ※ A reliable and cost-effective vendor and your best partner!! Since 1990 ProMax has been supplying all our single-use batteries to private label customers. The Company has extensive international experience with a variety of retail chains and OEM customers including hardware, grocery, drug, mass merchandisers and other battery companies. Well known companies use the Private Label of "ProMax" to produce batteries for their own cause and they are widely available in the European Market. Through our company you have the option to create your own line of batteries with the brand name you desire! !